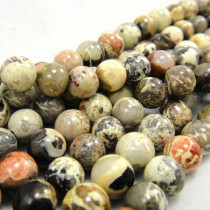 Jasper is an opaque to sub translucent chalcedony whose name comes from the Greek for spotted stone. 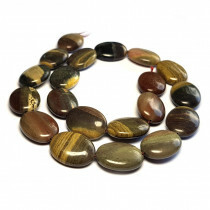 It is said that silver leaf jasper encourages willpower. It's worn by independent, highly disciplined people, or by people who aren't highly disciplined but would like to be. Silver Leaf Jasper Gemstone Round 6mm (~66pce Strand) - 40cm/16'" Strand. 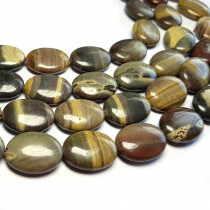 Silver Leaf Jasper Gemstone Round 12mm (~33pce Strand) - 40cm/16'" Strand. 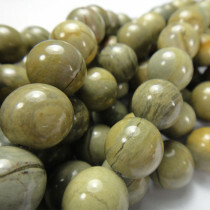 Silver Leaf Jasper Gemstone 15x20mm Oval Beads (~20pce Strand) - 40cm/16'" Strand.